Today's Mori Music Find is Akdong Musician. 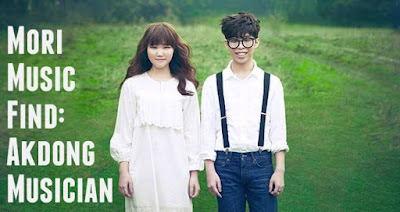 Akdong Musician is made up of two siblings from Korea who write their own music. They gained prominence when they won first place on the "Kpop Star 2" tv show. Their music is very happy and very fun to listen to. Their first album is my favorite (and the most mori sounding in my opinion), but all of their music is very well made and I'd highly recommend it. Have you ever heard of Akdong? If so, how did you like them? If not, I hope you enjoy! Happy listening!